Contains premium organic and wild-crafted: Rosewood, Sandalwood, Cedarwood, Coriander, and Spruce essential oils. 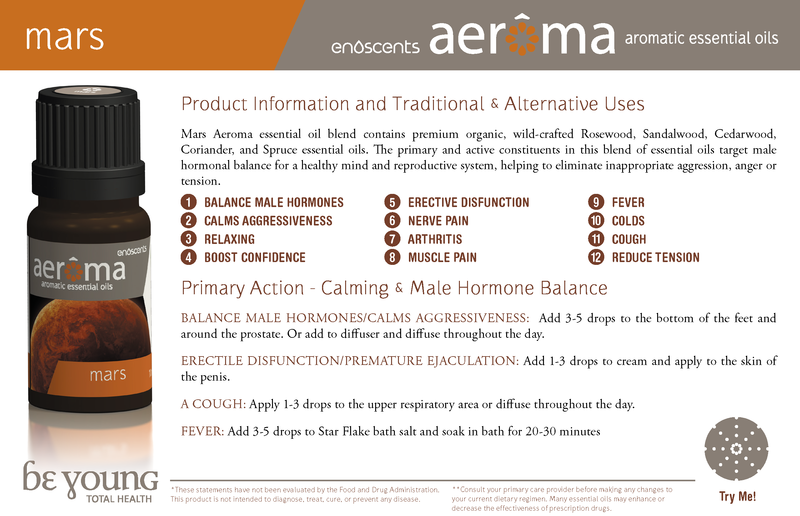 Mars™ blend was expertly formulated to balance the male mind, body, and spirit. The aroma of Mars™ provides an overall calming and grounding feeling while contributing to increased intimacy making it perfect for those days when feelings of inappropriate aggression, anger, or emotional tenseness are prevalent. Apply 2-5 drops to the temples, back of the neck, and bottom of the feet.